I was lucky that I was able to breastfeed from the day I gave birth to Freddie and I work from home, so I haven't needed to pump milk. I have used a hand pump twice which I only managed to pump around 3oz each time because my hand was hurting me too much and I was only testing certain bottles. However, I know that in a few months time, if I am ready to leave him overnight with a family member, I will need to breast pump some milk for him. There are many breast pumps out there to choose from. Diapers offer a fair range of breast pumps, you can see them here. Choosing the right breast pump can be quite confusing when there are so many to choose from. I have always had my eye on the Medela Swing Breast Pump which is also available to buy on the Diapers site. Having a breast pump is great if you are going back to work/starting work or wanting a day/night 'break'. If you don't fancy using a breast pump, you can always try hand expressing. There is a choice of buying a breast pump or loaning one. If you are thinking on going back to work then you are best of buying a pump as you can keep it for however long you want. If you are wanting to try a pump out or only wanting to use it a couple of times for certain days or nights then you could save money by loaning a pump. So, how do we choose the right breast pump? A manual breast pump is cheaper but can be hard work as you use your hands to pump (which can be painful for your wrists after a while). You should get into some kind of rhythm when expressing using a hand-pump, it may take some time to get used to. Electric pumps are more expensive but easier to use as you don't need to use your hands to put. If you are looking to only express occasionally then the manual pump may be better but if you are looking to express on a regular basis, an electric pump may suit you best. Manual breast pumps are great for taking out and about, if needed. 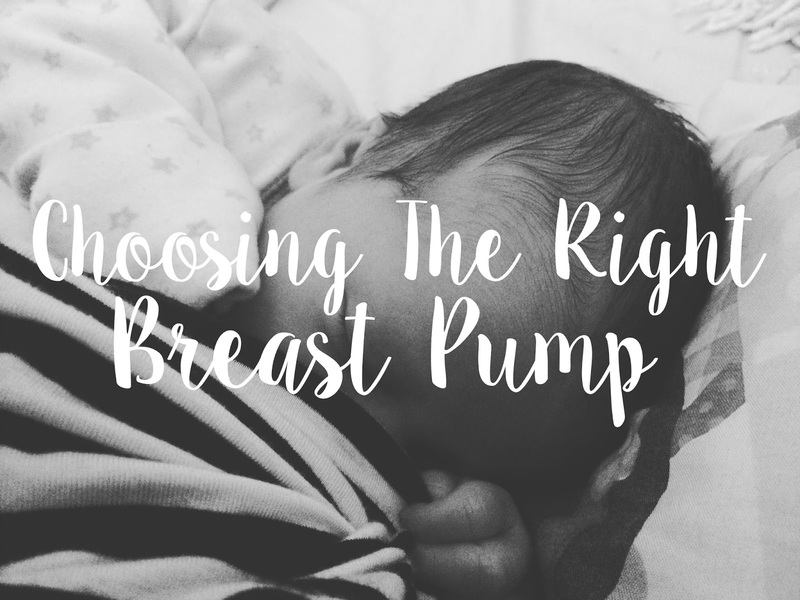 There are two types of electric breast pumps; battery operated or mains electrical supply, which could also help your decision on choosing the right pump. Single or Double Electric Breast Pumps? It can take up to 30 minutes or so to express milk by using a single electric breast pump, which is a lot of time when you have many other things to do, such as housework, seeing to baby (or other children), work and anything else that needs doing. A double electric pump will get you done within 10 or so minutes which is less than half the time as you would when pumping with a single. It all comes down to, how much do you need to express and how much do you want to spend? Nakturnal is giving away one (1) $50 gift card to spend at Diapers.com for one lucky reader. All you need to do is read the terms and conditions, then enter by using the Rafflecopter below. The prize is one (1) $50 USD gift card to spend at Diapers.com. The prize is from Nakturnal not Diapers.com. Giveaway ends midnight 1st January 2016 (UK time). The winner will be chosen at random, however, to be entered you MUST comment this blog post - otherwise your entry will not count. My funny parenting moments are always the embarrassing ones. Looking back it's funny..but at the time it's not. I like to encourage my kids to be themselves..even if it means they are going to be silly in public. The funniest moment was when my baby girl was with me at the store and someone was trying to get her to smile and she kept shaking her head no. My funniest memory was when the toilet got clogged. And when they removed the trapped object, it was a pile of legos.